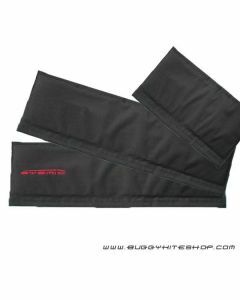 Black D1800 fabric 2 time PU coated, water-proof. Smart PP foam. Easy to install, easy to remove, can fit numerous buggy kite. 2 laterals (one with sysmic embroidery), 1 rear.